Our hard cast bullets and Polymer coated bullets are manufactured from premium grade alloy, complemented with a high quality lube or Polymer finish resulting in exceptional accuracy. 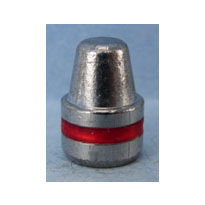 We offer the finest quality hard cast lead bullets for reloading. We have many different calibers to choose from. 44 Mag, 45 ACP, 380, 38 Special, 9mm, 357 Magnum and many more. 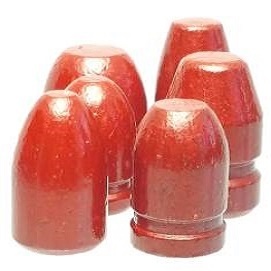 We carry a large variety of hard cast lead bullets and Polymer Coated bullets for Cowboy Action Shooters, IPSC, IDPA, Speed Steel and all reloading enthusiasts, including the weekend reloader. 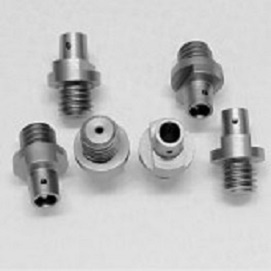 Our hard cast lead bullets and Polymer coated bullets are our staple product. They have exceeded our expectation and outperformed various lead competitors. We have won countless monthly Cowboy Action Shooting matches, numerous annual championships, multiple state championships and a regional championship. Through a prior shooting season we estimated we shot approximately 3,500 rounds of ammo through each firearm without running a patch, wad, bore cleaning solution or anything that would clean the barrel in any of our guns. At the end of the season we inspected the guns and found virtually no leading in any of the barrels or forcing cones. The firearms shot point of aim (POA) as if they were new. We confirmed that we had the right formula for bullet hardness, case pressure and the appropriate lubrication. By utilizing proper alloys, materials and processing we believe our lead is the perfect balance of durability and performance. In February of 2015, we decided to diversify our product line further through the process of applying Hi-Tek polymer coating to our premium quality hard cast lead bullets. 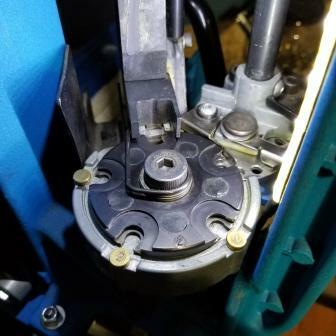 After extensive research and testing we decided to offer this upgraded version of our products for customers who want an accurate, reliable and more affordable alternative to jacketed bullets. In addition to the accuracy and cost benefits, the polymer coated bullets provide more reloading flexibility than that of various plated projectiles. Smoke associated with lead is virtually eliminated as wax is no longer necessary due to the slick properties of the polymer coating. In August of 2015 we started production of our polymer coated bullets line. We were fortunate to have one of the premier custom 1911 single and double stack manufacturers in the country, Mr. Brandon Strayer, of Infinity Firearms: www.sviguns.com help with the testing and evaluation of our polymer coated products. Infinity's reputation for outstanding quality and excellence are known worldwide. We sent our projectiles to Mr. Strayer knowing that he would test them under the most stringent conditions, providing us with the most accurate and dependable information.